You are here: Home / A-Blog / LGBT Groups Silent Over Chelsea Handler’s Homophobic Tweet. LGBT Groups Silent Over Chelsea Handler’s Homophobic Tweet. 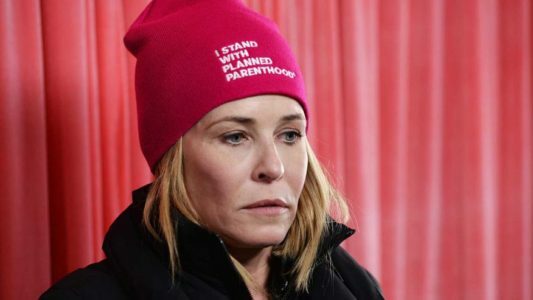 Ever since announcing that she was walking away from her short-lived ratings disaster of a Netflix show to concentrate on political activism, purported comedienne Chelsea Handler has committed herself full-time to spewing profane social media outrage at the Trump administration. This time she outdid herself, however, with a disgusting and homophobic tweet that would have sparked an apocalyptic degree of outrage if she were politically conservative. Instead, the vile message is being greeted with silence by the LGBT community, according to Fox News. Fox News reached out to GLAAD, Human Rights Campaign, National LGBTQ Task Force and a variety of other gay rights organizations for comment and none responded, nor did they condemn Handler’s message on their Twitter feeds. Fox News did note, however, their hypocritical condemnations of conservative comments deemed to be homophobic, such as Duck Dynasty star Phil Robertson’s derogatory comments about homosexuality back in 2013 or an episode of Survivor which featured one contestant outing another as transgender. Twitter itself, having just been outed by Project Veritas undercover videos as even more shockingly biased against conservatives than anyone suspected, has even refused to comment whether Handler’s tweet violated the company’s guidelines. “Another hateful Leftist with Twitter’s blue check mark seal of approval,” wrote conservative writer Mark Pantano.